Dragonfish slot and casino sites run on software owned by 888 Holdings and feature hundreds of original titles, including Aztec Realm, Irish Riches and Millionaire Genie progressive jackpot. The 888 casino platform, Casinoflex, powers the following UK websites and allows non-Cassava brands to host Dragonfish games. Wink Slots is filled with plenty of games to keep avid casino players happy. Choose from modern slot games, huge progressive jackpots and a huge library of live dealer classics like roulette and blackjack. Join today and you’ll be rewarded with 30 free spins on three popular slot games – no deposit required! Terms & Conditions: New players only. Max 30 Free Spins [FS} available for 7 days. FS wins granted in bonus after all FS used. FS wins set at £1–£4 (per 10 FS). Bonus wins are capped at £100 exc. jp. wins. To withdraw games bonus & related wins, wager 30x the amount of bonus. Wagering req. vary by game, withdrawal restrictions & further T&Cs apply. Deluxino is the casino for players who love spinning on the most popular slot games. Sign up today and you’ll be treated to 25 free spins when you deposit using promo code DELUXINO. All spins are free from wagering and paid into your real cash balance. Plus, VIPs get plenty of rewards including daily free spins and up to 10% cashback! Terms & Conditions: First-time depositors only (18+ UK exc NI). Min Deposit: £10. Max Offer per deposit: 25 Free Spins on Fluffy Favourites. Free Spins Winnings will be capped at £2.50 and credited to your real money balance. Free Spins expire after 7 days. Promo code: DELUXINO. Deposit balance is available for withdrawal at any time. Full T&Cs apply. Choose Kozmo Casino if you want a huge variety of player-favourite slot games like Cleopatra, Bonanza and Stampede. Register and deposit £10 for 25 free spins on Fluffy Favourites with no wagering requirements, plus loyal VIPs are treated to up to 50 wager-free spins every single day! 777 might look like something out of the 1950s, but it’s certainly a modern casino with all the extras. Just sign up to get 77 free spins and then deposit for up to £200 welcome bonus package! VIP members benefit from exclusive benefits including birthday bonuses, lavish events and weekly promotions, just to name a few. Terms & Conditions: To withdraw bonus & related wins, wager 30 x (bonus amount) within 90 days. Wagering requirements vary by game. Bonus wins are capped at £500. FreePlay & Free Spins expire after 14 days. 77 Free Spins: Predefined bet amount of £0.25 per spin. With the exception of a Jackpot win, max winnings = £20 Bonus. Must be claimed within 48 hours of receiving the email. Withdrawal restrictions & full T&Cs apply. Costa Games is packed full of generous promotions for new and existing players alike. Sign up to be rewarded with five no-deposit free spins, plus make your first deposit for up to £50 bonus cash, plus 100 free spins. Costa Games has all the latest slot games, progressive jackpots and a wide range of live dealer options. Terms & Conditions: Non-funded players only. Offer valid until further notice. Min dep. £10. Max bonus £50. Withdrawal restrictions apply: wagering 40x Bonus & 40x Deposit. Wagering requirements vary by game. 10 Free Spins are credited within 10 minutes of the deposit. The remaining 90 Free Spins are credited in sets of 10 every 3 days. Full T&Cs apply. 18+ only. Deposit £10 and Rise Casino to claim 25 free spins with all winnings are paid in cash. With over 300 games to choose from, you can play some of the best slots like Shaman’s Dream and Starburst. Loyalty is rewarded with plenty of perks on the Rise Reward scheme including free spins and monthly cashback. Terms & Conditions: First-time depositors only (18+ UK exc NI). Min Deposit: £10. Max Offer: 25 Free Spins on Fluffy Favourites. Free Spins Winnings will be capped at £2.50 and credited to your real money balance. Promo code: RISE. Valid until further notice. Further T&Cs apply. Deposit at Zinger Spins for 25 free spins on Sharknado. What’s better is all spins are free from wagering requirements and winnings are paid in cash! Plus, VIPs are treated to up to 10% cashback on losses alongside plenty of other exclusive Zinger Rewards. Join today to play hundreds of casino games. Slot Angel features plenty of your favourite casino games including NetEnt’s huge slot game Starburst and IGT’s Cleopatra. Deposit £10 for 25 free spins on Sharknado and also be rewarded with daily free spins, real cashback and an incredible VIP gift when you reach Level 12. Terms & Conditions: First-time depositors only (UK exc NI 18+). Min Deposit: £10. Max Offer: 25 Free Spins on Sharknado. Free Spins Winnings will be capped at £2.50 and credited to your real money balance. Promo code: PLAY25. Valid until further notice. Withdrawal restrictions and full T&Cs apply. Island Jackpots is truly a slots paradise, with hundreds of the best casino games on offer. Deposit £10 today and you’ll dig up 25 wager-free spins when you use promo code PLAY25. Play huge progressive jackpots including Millionaire Genie and Mega Fortune Jackpot. It’s time for you to get in on the worst-kept secret at Secret Slots. Make a deposit to unlock the Secret Slots Daily Classic for a chance to win free spins, bonus money or even real cash. Join today to play some of your favourite games and be awarded with free spins, every single day! Which Dragonfish casinos have no deposit bonuses? Dragonfish casinos in the 888 Holdings Network offer bonus cash or free spins on registration. For example, 888casino offers players £88 bonus funds and Wink Slots reward 30 free spins, with no deposit required. These bonuses are subject to high wagering requirements and the free spins have capped winnings, but this is not uncommon for no deposit bonuses. Can I play live casino games on Dragonfish casino sites? The presence of live dealer casino games is what sets an online casino apart from smaller bingo and sports betting sites. However, the majority of Dragonfish casinos only offer slot games and a limited range of non-live table games like blackjack, baccarat and roulette. 888casino, Wink Slots and Moon Games host live casino games from Evolution Gaming and NetEnt, including 3 Card Poker, Live Speed Baccarat and Caribbean Stud Poker. 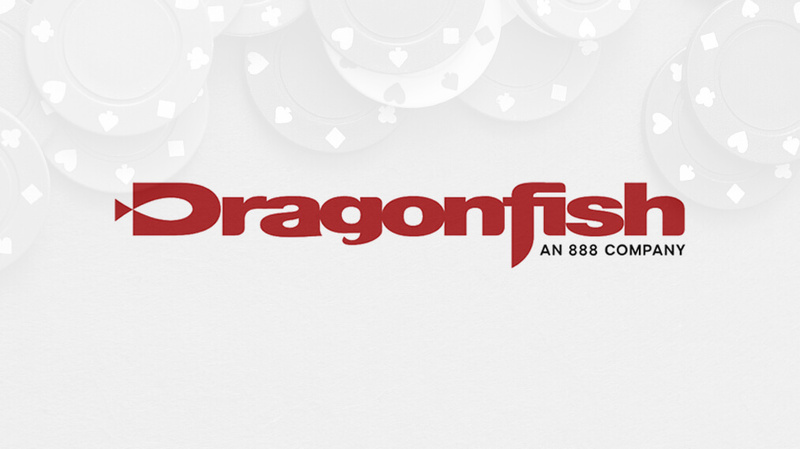 Dragonfish, a subsidiary of 888 Holdings, was founded in 2007 and offers gambling solutions to third-party casino operators. Although Dragonfish is a brand synonymous with online bingo, the company has branched out in recent years, adding poker, casino and sportsbook to its list of products. In February 2019, 888 acquired sports betting platform BetBright, as part of its long term strategy to expand and improve its gambling portfolio. Cassava Enterprises is another company often associated with Dragonfish. Cassava is a separate sub-division of 888 responsible for the licensing and payment processing of all Dragonfish sites. Casinoflex is the name for the Dragonfish casino solution and is available as a tab on an existing gambling site or as a standalone brand. This allows third-party operators to utilise the company’s software plus its in-house marketing, payments and customer support services. The Casinoflex platform gives operators access to over 500 casino games supplied by providers including Netent, Microgaming, Eyecon, Pragmatic Play, Pariplay, Quickspin, Slingo, IWG and Blue Print. The games library also features exclusive content from 888’s own games studio including the Millionaire Genie progressive jackpot slot. The addition of Casinoflex prompted many existing Dragonfish bingo brands such as Wink Bingo and Costa Bingo to diversify their product range by launching new slot-focused sites. There is a group of Dragonfish casinos that offer no wagering requirements and fully withdrawable winnings instead of match deposits or reload bonuses. Brands including Kozmo Casino, Deluxino and Rise Casino offer free spins on popular games such as Starburst, Fluffy Favourites and Kingdom of Cash. The only downside is that the total amount you can win is usually capped. While a capped spin might not seem like an attractive bonus, in our opinion, it’s a better alternative to being trapped in wagering requirements where you may never see winnings at all. If you’re looking for a reliable slot site with a huge range of modern slot games, we’d recommend trying a Dragonfish casino. However, players looking for an authentic online casino with a full range of table games and live casino will find better variety at a Playtech or Nektan brand. As of March 5th 2019, BetBright ceased all trading permanently and declared all ante-post bets void. JPJ Group has completed the £18m sale of its Mandalay operating business to Brigend Limited, a wholly-owned subsidiary of 888 Holdings.